is a new adventure and a challenge for everyone. Being so close to the beating heart of nature comes along with new experiences and leads you to cross unknown boundaries. It is due to the clean and fresh mountain air, the crystal clear spring water found in the mountains of the highlands as well as the high physical activity, that you will find to have a cleaning effect on your body and mind. It is not difficult to anticipate how much true happiness lies in a healthy appetite and a sound night's sleep after a few hours out there in weather and dust, riding through some of the most overwhelming panoramas. Every day comes with new victories - new adventures and new atmospheres. 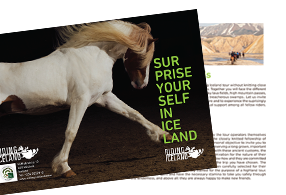 Surprise yourself every day on one of our unforgettable Riding Iceland Tours. Iceland ́s lonely fjords that you have explored on horseback, salmon from the rivers you crossed and lamb that has been roaming free in the heath land areas we have been riding through. With all dishes, we serve fresh fruits and vegetables from local farms. If we were lucky on the hunt for wild blueberries during the day we might also prepare a delicious blueberry skyr cake for dessert. 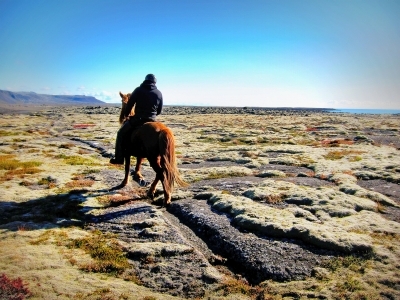 A Riding Iceland tour into the Icelandic mountains is a spirit cleaning natural experi- ence, which aims to take you out of your daily routine and put you into intimate touch with nature. You will find yourself having left all daily routines and duties far behind and leave this country with memories that will last a lifetime. It is almost impossible to participate in a Riding Iceland tour without knitting very close and lasting friendships both with men and horses. Together you will face the different challenges of the day and together you will solve them. 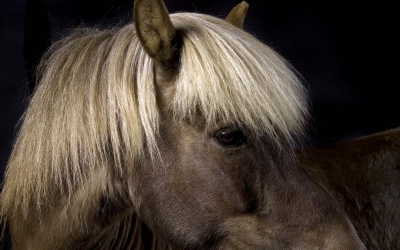 In order to safely cross rocky lava fields, high mountain passes, conquer raging rivers and treacherous swamps you will build an unbreakable trust in your horse. 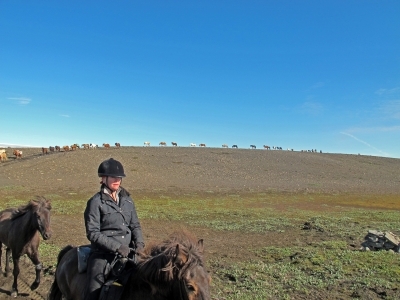 It is also an incomparable experience to enjoy the mutual support among your fellow riders while taking care of the herd of lose running horses that is part of every Riding Iceland tour. According to the old traditions, there is a custom of feeding the horses, cooking and singing together at night, which is a big part of the magic in creating strong fellow- ship and making friends for life. This way you will quickly become a part of the country, the culture and experience the surprisingly powerful energy of trust and collaboration. Your new friends are waiting for you!